LACMA offers on-site professional development for teachers and online resources to download. Visit their teachers resources page here. Tickets are $15 per event and $55 for a season pass. Purchase tickets online or at the door. Programs are held on selected Tuesdays from 4:30–8:30 pm with complimentary parking. 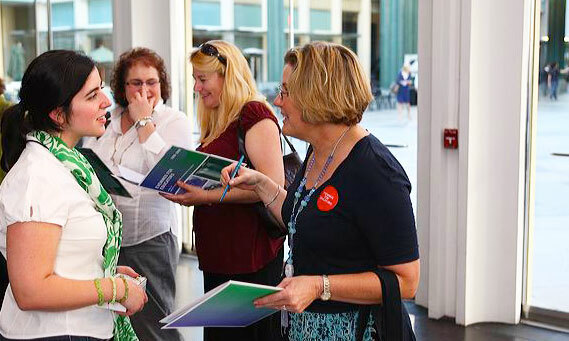 Evenings for Educators is a professional development program that presents K-12 teachers with opportunities to look, learn, create, and connect with colleagues. Featuring LACMA’s special exhibitions and permanent collection, each program presents strategies to incorporate the visual arts into the classroom with activities that explore the artistic process, approach works of art as primary sources, and emphasize the parallels between the visual arts and core content areas. Educators attend lectures by a museum curator or scholar as well as participate in gallery tours, discussions, and artist-led workshops. LAUSD teachers can apply for one salary point. Attendance of all four sessions and completion of a homework assignment is required. Registration takes place at the October session.